Changing the way young children think, communicate and act. 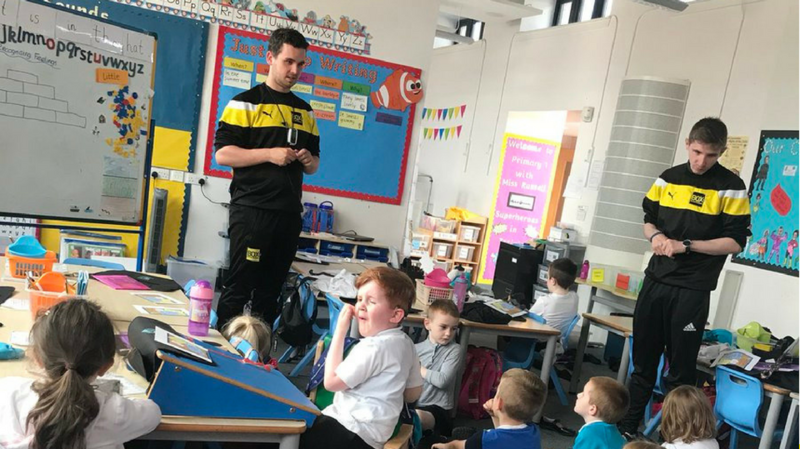 The Box Soccer Schools Programme was established by Tony McMinn, who oversees delivery of the programme. 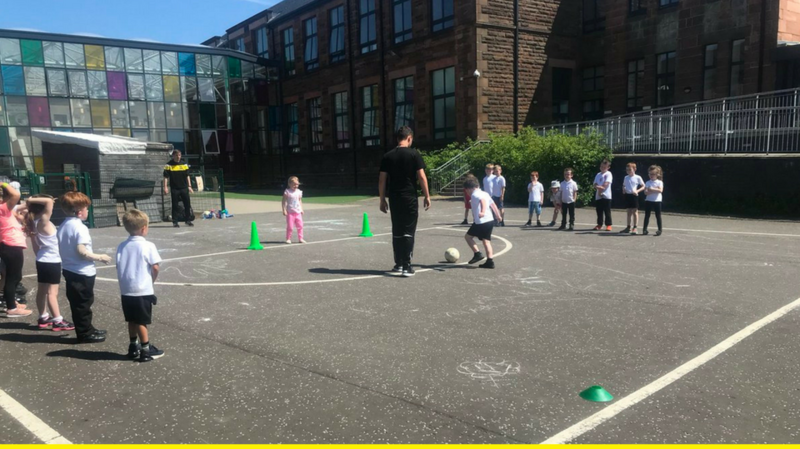 The programme has been designed to use sport and in particular football, where appropriate, to deliver health and well-being indicators in a progressive manner. 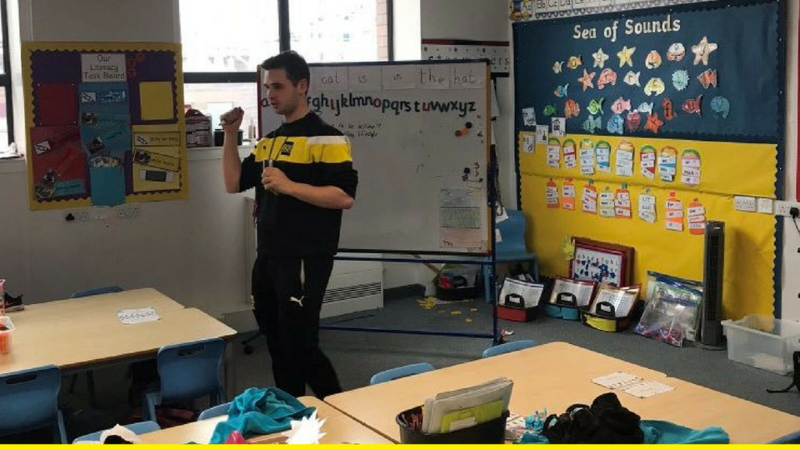 With relatable examples from the world of football, the teachers establish a connection with pupils to introduce them to Growth Mindset, Communication and Teamwork. 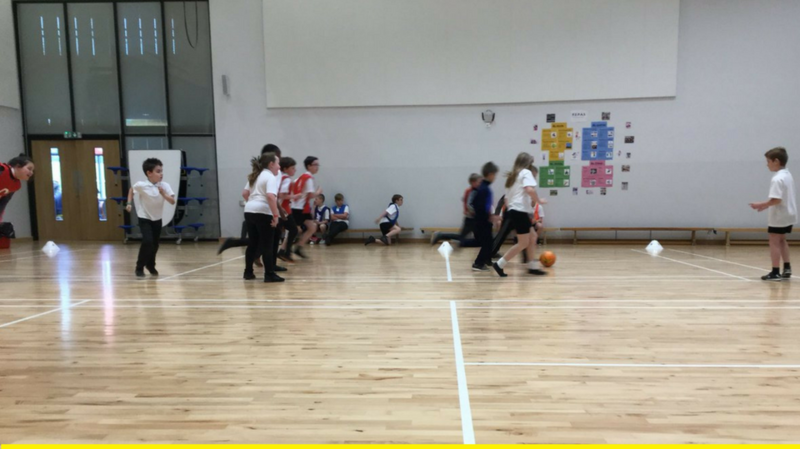 The programme is school based and classes are delivered from a mix of the classroom and PE or gym hall. 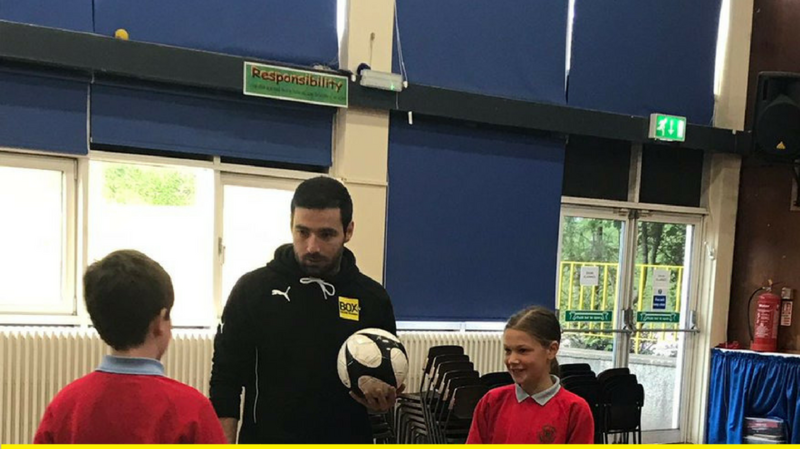 Due to the popularity and increased uptake since the programme was launched in 2017, there are now a number of Box Soccer Schools coaches who visit schools to deliver lessons from the programme. The programme is fully interactive and aligns itself to current learning pedagogies, most prominently active and collaborative learning. 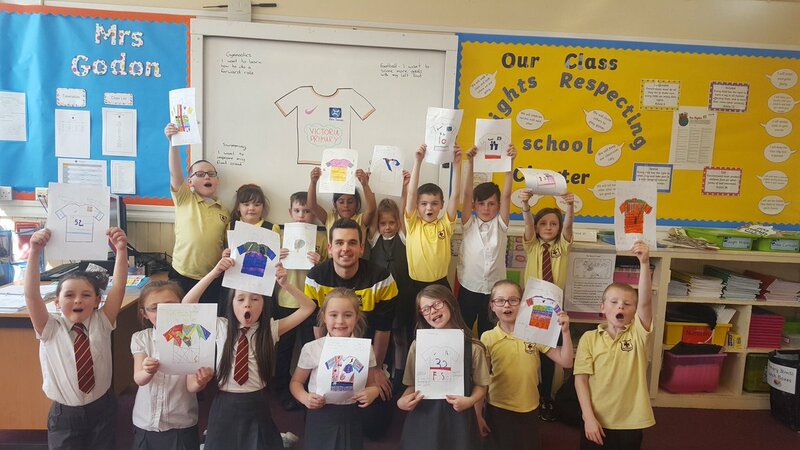 Delivered over an eight week block, each programme has been designed to engage pupils and teachers alike. We aim to take everyone on a journey to a more positive learning environment. 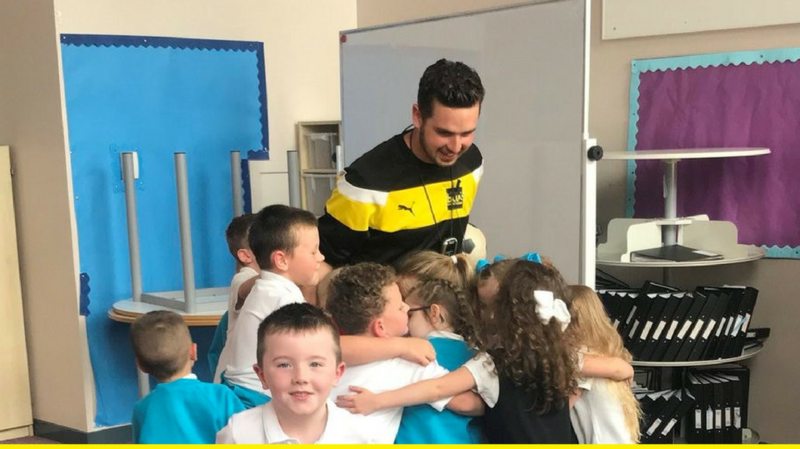 While a knowledge of football doesn’t restrict the learning process, the ability for many of the children to relate to the behaviours, examples and individuals from the footballing world allows for quick understanding. Such a buzz in the school today! We are developing positive attitudes towards our learning and our peers through Box Soccer Training. 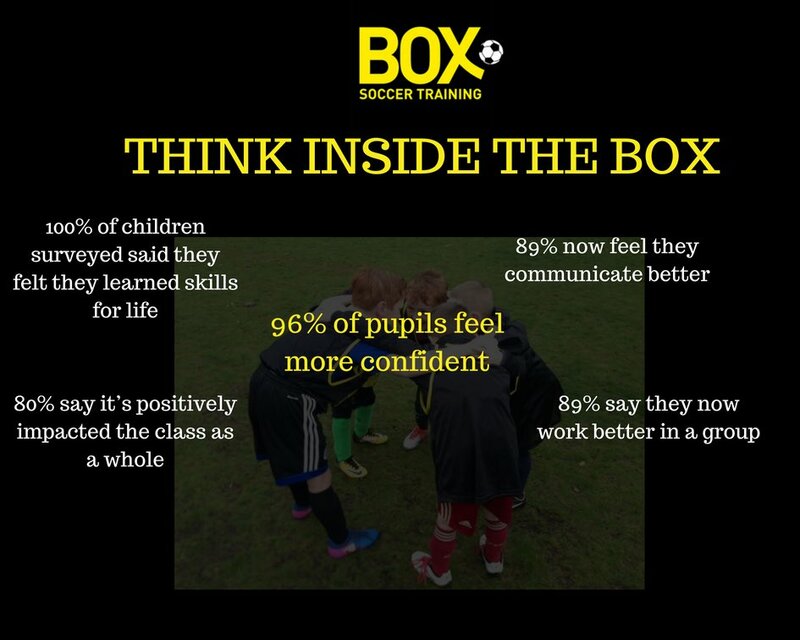 We are looking forward to working with Box Soccer on Wednesday. The classes are loving the partnership. It was fab, primary one loved it! Thanks again.